The paper introduces the Psi Swarm robot, a platform developed to allow both affordable research in swarm robotics and versatility for teaching programming and robotics concepts. Motivated by the goals of reducing cost and construction complexity of existing swarm platforms, we have developed a trackable, sensor-rich and expandable platform which needs only a computer with internet browser to program. 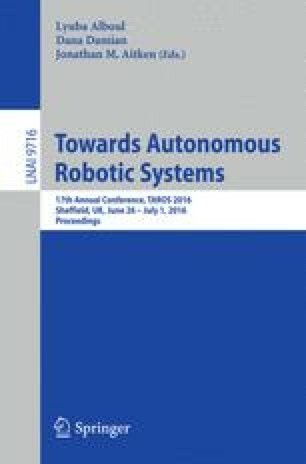 This paper outlines the design of the platform and the development of a tablet-computer based programming environment for the robot, intended to teach primary school aged children programming concepts.